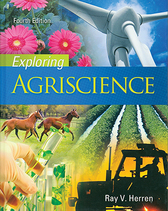 Exploring Agriscience, Fourth Edition (©2011) Used, clean textbook. 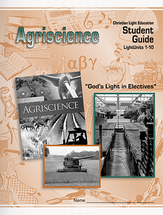 Includes one workbook and ten LightUnit tests to guide the student through the textbook. 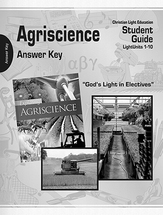 Includes answers for all the LightUnit exercises and self checks. Includes removable teacher's notes and LightUnit test answer key.